By the National park Plitvice lakes there is no bus station but there are a number of bus stops on the main road passing by the national park. As the national park has two official entrances, from where you have various walking trails trough the park, it is recommendable that you decide which route and entrance to take before your arrival by bus, so that you avoid getting off by the “wrong” entrance. The location of the bus stops in relation to the entrances you can see on the map below. Good to know when visiting the National park Plitvice At both entrances to the national park you have an option to leave your luggage free of charge. By the entrance and several places inside the park, you can buy food and refreshments; prices are higher then in the neighbouring area, but keep in mind that all the park's income goes to maintaining this beautiful spot. Along the walking trails you have plenty of waste baskets, so please use them! Staying overnight at Plitvice lakes If you plan to stay overnight at Plitvice lakes, you have various options. The park administration runs a number of hotels which are situated by or close to the park entrances. Obviously this is not cheapest option, but the easy choice when you depend on public transportation. Other alternative is to stay at one of the many hostels and apartments you find in the small cities in the beautiful area of Plitvice. As the bus only stops at the main road, you might have to walk a bit to catch the bus to and from the park, so keep that in mind if you carry lots of luggage. Travelling to Plitvice lakes by bus You can reach Plitvice by direct buses from several major cities, here is how to: Travel from Split to Plitvice lakes Travel from Zadar to Plitvice lakes Travel from Zagreb to Plitvice lakes Travel from Dubrovnik to Plitvice lakes If you are travelling from Istria and Kvarner, you will have to go via Rijeka and Karlovac. 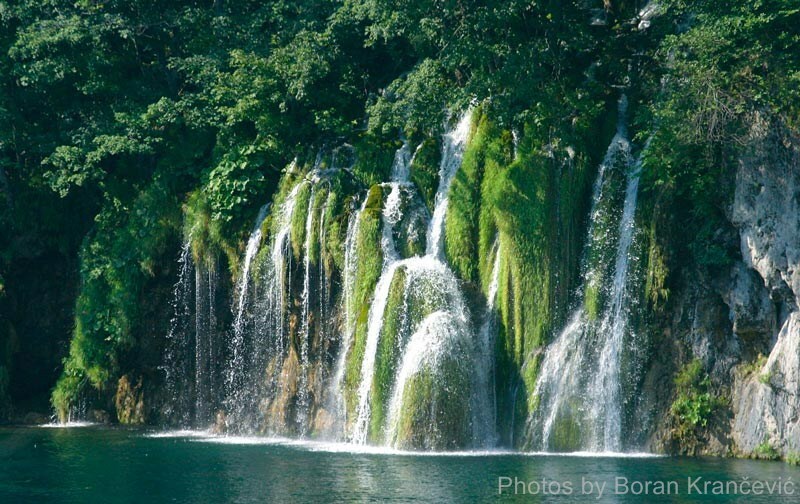 Another alternative is to rent a car or join an excursion to Plitvice lakes. More information about excursion to Plitvice lakes you can find here. Travelling from Plitvice lakes You can get on the bus by Plitvice at the entrace one and in most cases also by entrance two and in Mukinje, if you buy online ticket the stops are stated on the ticket. You have options to travel with direct bus or with connecting buses from Plitvice lakes to the following cities.